Cardiff Sixth Form College has again been ranked the top independent school in the UK by the Times Newspapers for 2017. 91% of students achieved A*-A grades and 99% A*-B and 18 have confirmed Oxbridge places. Results are tremendous. This year 47 students will be going onto study medicine or dentistry Medicine, with biomedical sciences, economics, engineering and law the next highest university placements. In terms of destinations, 18 have Oxbridge places, 20 at University College London and 27 to London School of Economics with 100% gaining places at the top Russell Group universities. 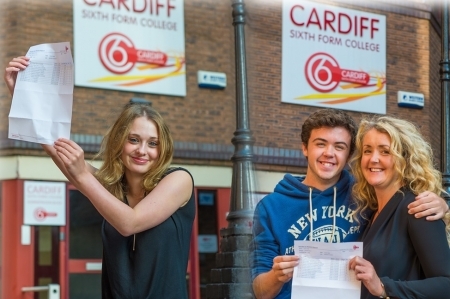 Cardiff Sixth Form College also offers a wide range of extra and super curricular activities. Students take part in volunteering and international work experience programmes as well as academic competitions including chemistry Olympiads, debating, mathematical challenges and the prestigious Imperial College's space design awards.